Because if she can handle tequila, she can handle you too. There are all kinds of alcohol stereotypes out there but the one associated with tequila is probably the worst: tequila makes you crazy. But if there's one thing we can all agree on, it's that women who drink tequila are one-of-a-kind. Whether it's loving or fighting, you'll never find anyone who does it better than a girl who just straight up loves tequila, and here are a few reasons why that is. A girl who drinks tequila is probably the same girl who has absolutely no problem telling it like it is. She knows what she wants and goes after it. Oh, you have a problem with me taking shots and having a good time? Well, get over it! Bartender, a shot with salt and a lime please! Tequila is an 'upper' so instead of sitting at the bar doing nothing, let's dance! Let's get moving! Speaking of dancing, a girl who drinks tequila is always down for a good time. Whether it's going on an adventure or seeing who can take the most shots, a tequila girl is always down to party. Like I said, tequila is an 'upper' so while the other girls at the bar are starting to feel groggy and sad, she's all over the place having fun and partying on the dancefloor. 6. She's stronger than the girl crying over a vodka cranberry at the bar. Sad over a breakup? Don't go for the vodka... Tequila will make you feel better in no time! Plus you can challenge the hot guys at the bar to a shot taking contest. 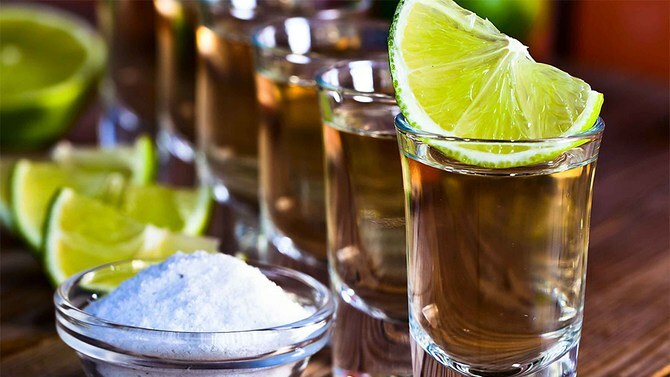 Tequila is a probiotic, so some tequila a day keeps the doctor away. Yay for shots! Any girl who can shoot some shots at the bar all day and night can handle alcohol, which means she can handle herself too. You won't have to deal with her constant breakdowns and mood swings because she will be too busy ordering more shots. At the end of the day, I do not know what kind of man he is now. I do not know what kind of husband he is. I do not know what kind of wife you are. If he is a kind and loving man, one that does not mentally, emotionally, or physically tear you down each day; if he is a trustworthy and trusting husband, one that is secure in his life with you; if he is the kind of man that your parents dreamed of for you, then I will continue to be content with the joy that he brings you. However, if he is a mean and rude man, one that continues to slowly tear you down day by day; if he is an untrustworthy man and a man that does not trust, one that is constantly insecure in himself and live with you; if he is the kind of man your parents dreaded coming near their daughter, then I will be here ready and willing to take on your cry for help. I will be here with advice, shelter, and comfort.